Welcome! 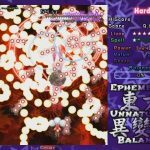 My name is Eric “ExPorygon” Oswald, and I am the director and lead programmer of 東方逆妙乱 ~ Ephemeral Unnatural Balance as well as the founder of Ephemeral Entertainment. I’d like to personally thank you for joining me on this exploration of the development of EUB. So let’s not waste any time! Ephemeral Unnatural Balance began its life sometime during 2012 (it’s hard to remember exactly when). I had recently joined the Walfas Station Wagon skype group and had made a number of friends, including Sturmgeschuts, a fanfiction writer. 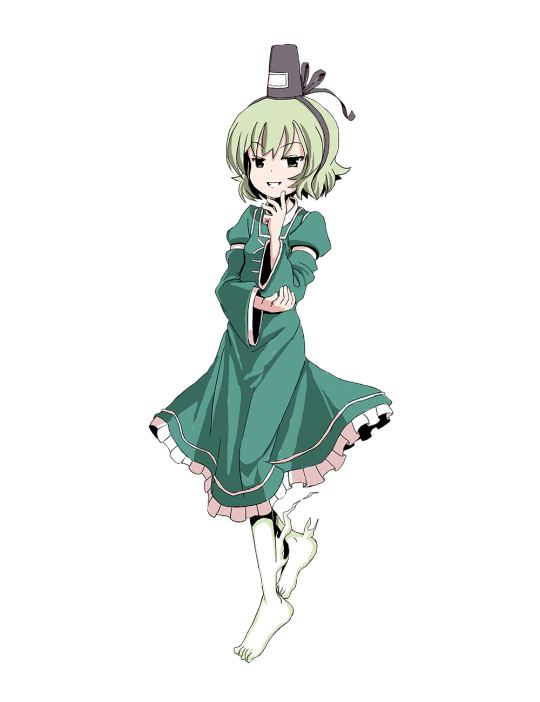 I don’t really remember how it came up, but we were talking about overlooked characters in the Touhou Project series, especially the ones that only appeared as midbosses. We basically thought, “What if there was a game that starred all of those characters?” That’s how the idea of EUB came to be. Sturm would write the story and I would program the game. While I was still developing another game, the Touhou-Mario crossover, Kingdom of Mushrooms, my will to continue it was on the the decline. The game was…weird to say the least. 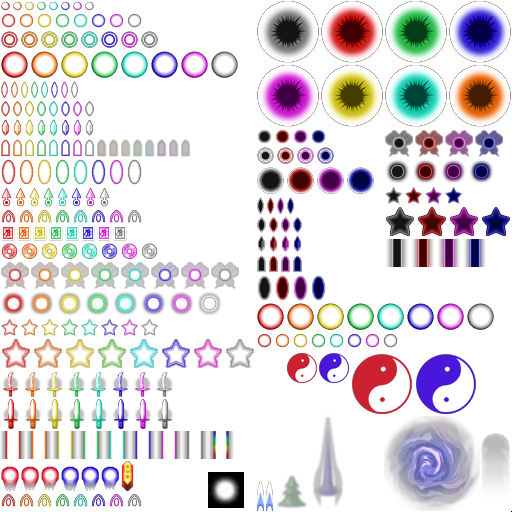 Honestly, the reason I started that project was partly due to my extreme enthusiasm for making danmaku patterns at the time, as I had recently learned how to program with Danmakufu. 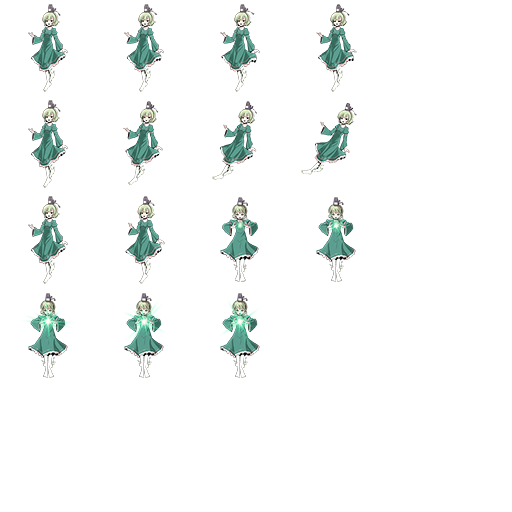 I longed to explore what sort of danmaku patterns that characters outside of Touhou would use. This is why I made the Doopliss halloween script and I kind of wish I had just stopped there. What I really mean is, I wish I had simply made standalone boss fights of the characters I wanted to do, instead of making a full game complete with a story. And the story is where the game kind of falls into the weirdness. As someone who usually finds crossover stories to be jarring, weird, and sometimes cringy, I don’t know why I decided to try and make one myself. The time-saving decision to make all of the players have the same dialogue wasn’t helping matters. I still think the story has a few redeeming qualities, like the Bowser dialogue and my plan for Doopliss, but it’s still pretty strange. By 2012-2013, I had begun to realize that the game would at best be seen as a weird meme game among the community, even if it was super well designed (and it wasn’t). I was longing to make a “real” fan game, one that could proudly stand alongside the likes of Concealed the Conclusion and the recently-released The Last Comer. The idea for EUB came along at the perfect time and even though I said that I would finish KoM eventually, I think I knew all along that that really wasn’t likely to happen. So we hit the ground running with EUB. I started designing the players and Sturm began writing the story. 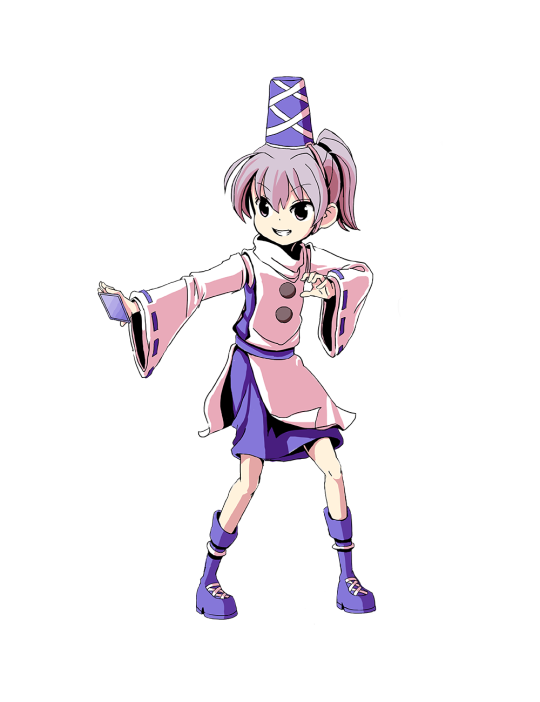 To fit with the theme, we decided to make the incident about a power reversal spell that would be unleashed upon Gensokyo. Traditionally powerful characters would become weak and vice versa. 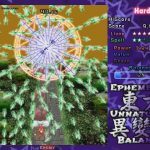 The name, Ephemeral Unnatural Balance was chosen by Sturm to represent the game, as it’s about a short-lived, unusual balance of power brought about by the spell. Here is one of the earliest mock-covers for the game, made by Kappatalist (uploaded by Sturm). Unfortunately, we couldn’t have known at the time that Double Dealing Character would ultimately beat us to the theme of flipping the status quo on its head. Luckily, there were enough key differences between the two games that it ultimately did not matter much (not to mention a difference of 5 years in release). For example, Seija was aiming to overthrow society but was stopped before she could. In EUB, the upheaval has already started, and the effects are evident by the power and demeanor of the encountered characters. By late 2013, Sturm had already completed the entire script for the game. I was blown away by it! More than anything, the script signaled to me that this is really happening, that EUB was going to be the Touhou fan project that I had dreamed it of being! More motivated than ever, I set out to making music and starting the actual design of the stages and bosses! That’s all I’ll cover for now, the next devlog will continue with the development of Stage 1. Thank you for reading and we’ll see you next time! This entry was posted in Dev Log on November 11, 2018 by ExPorygon. Greetings Internet, I’m ExPorygon, and welcome to the official Ephemeral Entertainment website! This will be the home for all information about our content, including games, music, and various blog posts relating to them. I’m also here to triumphantly announce the revival of the Porygon Productions tumblr development blog which will now be hosted here also under the same name! And perhaps most important of all, it’s time to announce that 東方逆妙乱 ~ Ephemeral Unnatural Balance has been slated for release in Summer 2018 on Steam!! The main 6 stages of the game have been finished and work on the extra stage is underway. We even have plans for additional content after release! For more info on the game, head here. 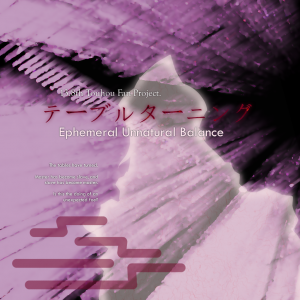 Ephemeral Entertainment is the name I’ve given to the game development team for 東方逆妙乱 ~ Ephemeral Unnatural Balance. With the launch of the website, we aim to keep making quality games, music, and perhaps other original and Touhou-derivative content. So for those who are viewing this from Tumblr, just know that www.ephemeralentertainment.net is the new home for the blog BUT most posts will be cross-posted to Tumblr as well. Most of the relevant posts from the old blog have also been imported here. This entry was posted in Announcement on April 16, 2018 by ExPorygon. Greetings!! Thanks so much for the compliments! I looked up the song name you have and I’ve actually discovered it myself a few years back. I believe that a better translation of the name would be Tonight’s Rainfall, and I agree with you that it’s an absolutely beautiful piece. But I have already decided that I will not be arranging it for EUB. 1. I don’t believe it fits for a stage. Plenty of people clearly disagree with me (I’ve read their comments) but I do firmly believe that the song better fits a boss fight, albeit one with a bit less tension than usual. My partner Trickysticks and I both have this opinion. 2. I don’t believe that it should be used during the stage if Daiyousei is not present in it. The song definitely fits my idea of Daiyousei’s character, but the association to her would be somewhat lost if it were used in the stage before her, rather than when she’s actually present. Instead the association would mostly likely fall to Cirno instead, as it usually happens with stage themes and their respective midbosses. 3. The song is not fitting for Daiyousei’s character in the context of EUB’s story, even if I were to use it as a boss theme. One of the common side effects of the power reversal, as it becomes clear in stage 4, is an altered personality. It tends to manifest more in individuals who have the most drastic changes in power, which is why it does not appear to be afflicting some characters like Momiji and Aya. 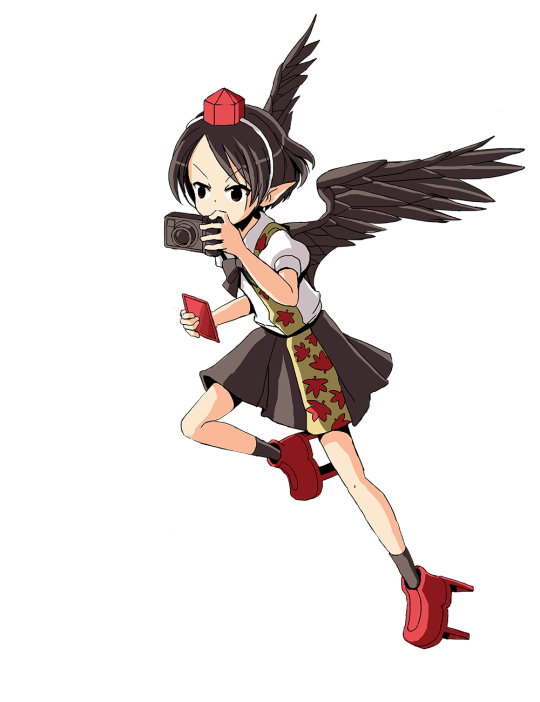 As the dialogue makes clear, Daiyousei in particular has gone from a shy, playful, and mischievous fairy to a stern, antagonistic fairy general dedicated to a fairy uprising. All that said, I DID once envision a game starring the characters of Team ⑨ where Daiyousei would be a stage 5 boss in her normal state. THAT is where I wanted to use this theme. It’s not likely that that game will happen anymore, but if I ever come up with a similar opportunity you can bet that I will be arranging Tonight’s Rainfall for it. Thanks for the ask! It’s things like this that keep me motivated and moving at a steady pace on development. I had fun writing this response, feel free to ask more questions any time! I love to interact with fans! Daiyousei’s in the works now! Fairly experimental and not the final product, but here’s a neat preview of things to come. 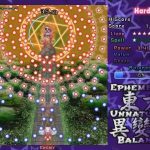 This entry was posted in Video and tagged Daiyousei, Devlog, ephemeral unnatural balance, ExPorygon, touhou, Trickysticks on August 9, 2016 by ExPorygon. 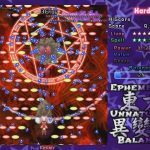 Daiyousei makes a return in stage 4! But with a new twist? We’ve hit a major milestone in EUB’s production: We’ve finally released a 3 stage demo to the public! Special thanks to all the testers and other contributors to the project. The demo itself is hosted on Bulletforge, at this link. For those who wish to get a taste of the game before playing it, we have both a trailer and a playthrough video up on Youtube. Now for the stage 3 bosses, Aya and Momiji. Here’s a peek at some of their spell cards and attacks. 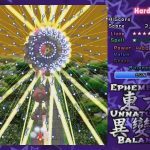 This entry was posted in Media and tagged aya shameimaru, ephemeral unnatural balance, momiji inubashiri, touhou on July 4, 2015 by ExPorygon. 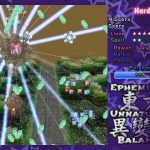 This entry was posted in Media and tagged ephemeral unnatural balance, touhou on July 4, 2015 by ExPorygon.